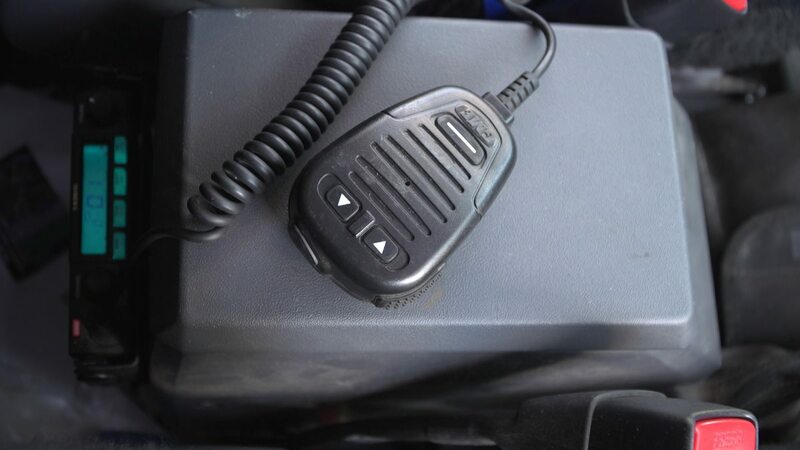 Communication devices used in the LandCruiser. For short range communications I use 2 UHF radios (477 MHz) both with 80 channels. So why two radios? Well we conduct off-road tag along tours so having the entire convoy on one channel and another channel for direct uninterrupted communications between the Lead vehicle and Tail End Charlie (the last vehicle in the convoy). Ronny and the communication devices in the Landcruiser. That said even during other trips and general travel I tend to leave one radio on channel 40 which is the trucker and road-worker channel to get alerts of what's up ahead. 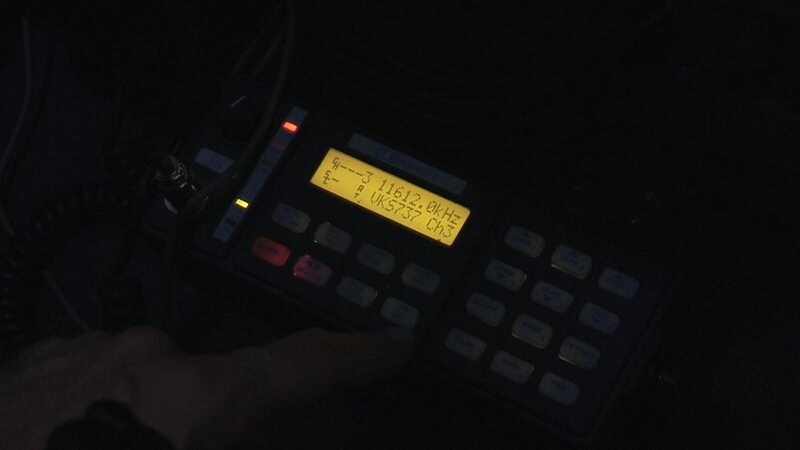 The main radio I use is an Icom 400 which is a commercial grade radio broadcasting signals from the roof (on top of the roof rack) via a 3dB antenna (good for 20+km when conditions are good), the second radio is a GME TX which would be considered as a recreation grade radio, this radio receives and transmits from a 3dB antenna mounted on the bull bar. The antennas have been keep apart to avoid interfering with each other. 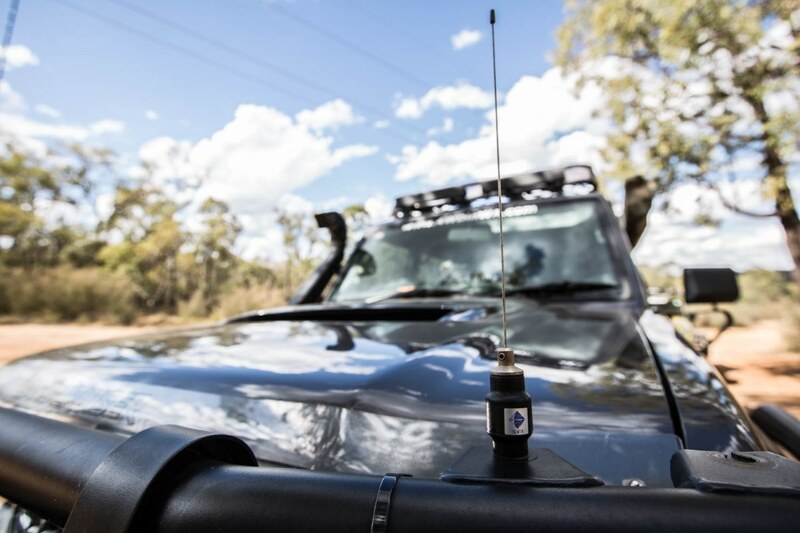 For long range radio communications I use a Barrett 950 HF radio with an auto tuner antenna, this radio requires a license to use and to get that you need to be part of HF radio network which has allocated channels. These channels are the only ones you are permitted to broadcast on. I am with the VKS737 radio network which is for 4 wheel drivers around Australia. On a good day when conditions are right 3000km range is possible with the HF radio. The Barrett 950 is only really on the cruiser for emergency situations. 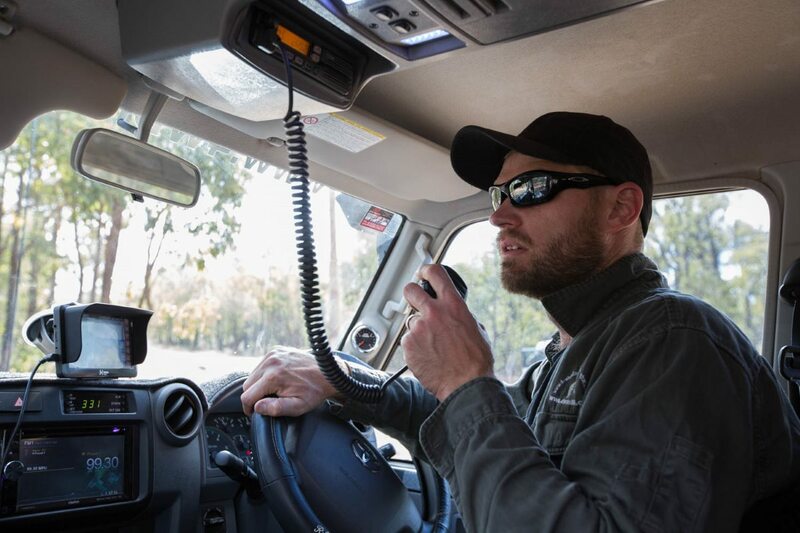 The other option is a satellite phone which can be quite expensive to have and use, once you own a HF radio the only ongoing cost is an annual fee of less then $200 to be part of the HF comms network. The radio has only been used 5 times and all have been radio checks to one of the base stations in W.A. If you get a HF radio be sure to keep all the antenna wires well away from the engine bay and other electrical items as it really doesn't take much to interfere with the radio signal. This is the reason why I have moved the radio antenna to the roof. Now moving from Communication devices to Location devices. This is where the bridge is crossed between comms and navigation. On our trips we bring a SPOT device (SPOT gen1). This device allows us to send our exact location to our family and friends so they know we are still alive and traveling ok.
By the push of a button it will send a signal to a satellite which will trigger an email to be sent from the SPOT data base. This email is a preset message (which you can customize) that gets sent to all people you have chosen to receive it. The email also contains the exact location of our whereabouts on Google earth in an URL link. It also has a please help message button and the all important SOS emergency button. 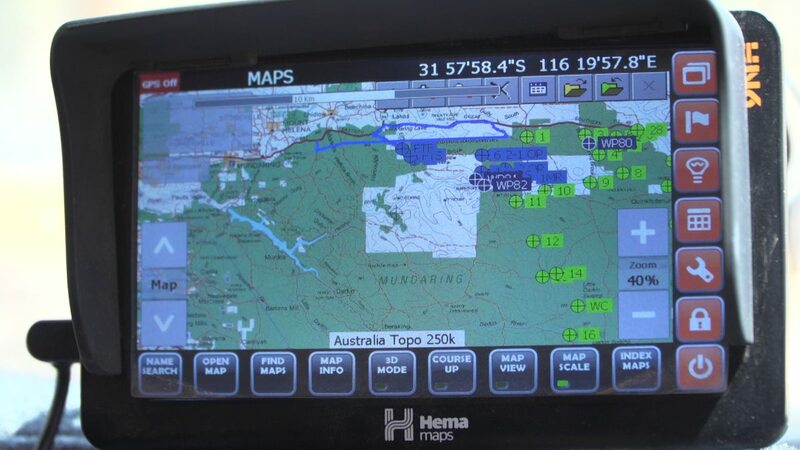 For off-road navigation the entire crew uses the Hema devices. I have owned a Hema since the HN5i was released, I then got the HN6 pretty much the day it was released and now I have the latest version of the HN7 which has the biggest screen yet and more detailed maps. As a backup we always carry paper maps as technology could fail, the paper maps we carry are Hema maps as well and for good reason too, the same maps are on the GPS so when we discuss locations on the paper map everyone knows what to look for on the GPS map. And of course should the GPS fail we have our backup paper version showing the same maps. My Navigation and Communication devices used in the LandCruiser, Video. Leave Communication Devices And Go 4 Wheel Driving In Western Australia. Go To Two Way Communication.